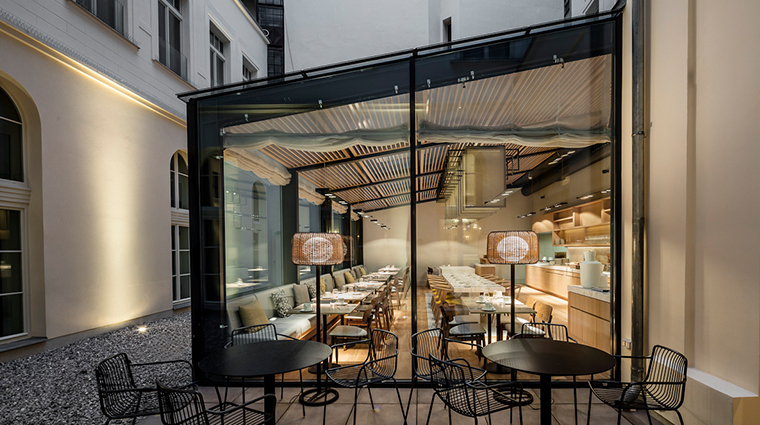 Straddling the border of the Old Town and New Town, BoHo Hotel Prague has one foot in each camp with a contemporary, glass-fronted design set within a restored 19th-century factory building. 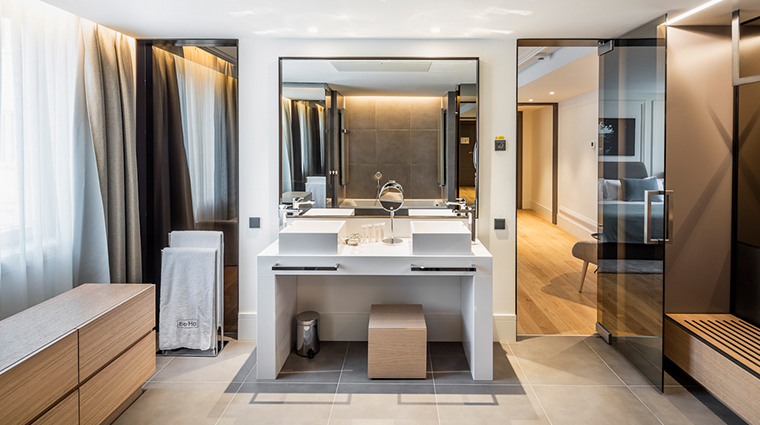 Step inside though, and it’s all about the modern design elements — from the polished wooden floors of the rooms and suites, to the spotless marble surfaces of the restaurant and bar, to the sleek black lines of the spa’s Jacuzzi. Even the library’s cozy feel is achieved through understated minimalism. Yet this boutique property’s biggest asset is its location. 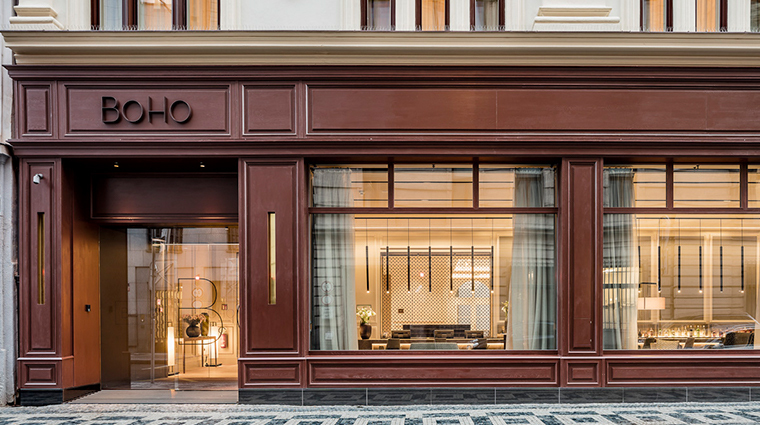 With some of the city’s headline attractions just a short walk away, BoHo is the hotel of choice for exploring everything Prague has to offer. 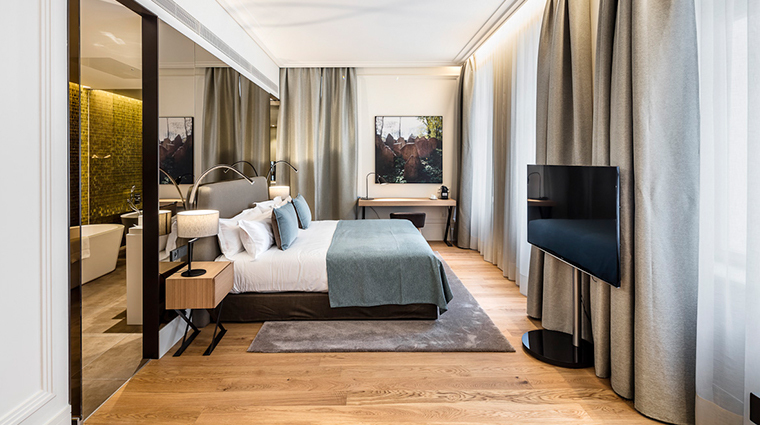 Each of the guest rooms and suites exhibits an individual print of a different Prague scene, shot by artist Jordi Llorella on a pinhole camera fashioned from a matryoshka (Russian nesting) doll. 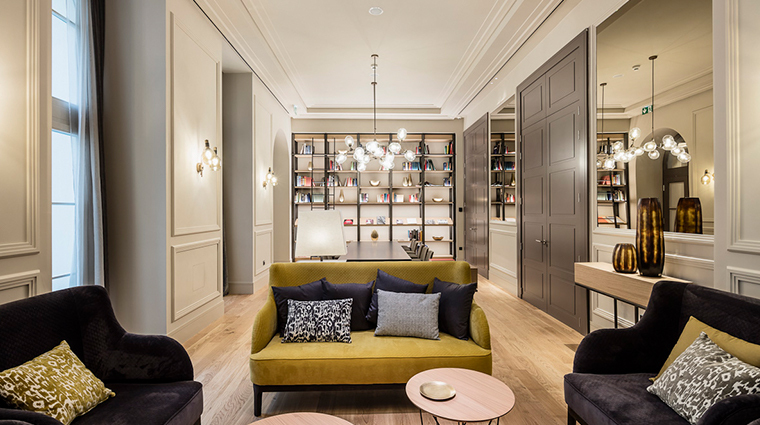 If you need a quiet escape, head to the hotel’s library, a cozy little room with a fully stocked bookcase and plush sofas set around a fire. Don’t forget to indulge in the free coffee and pastries that are served here all day. 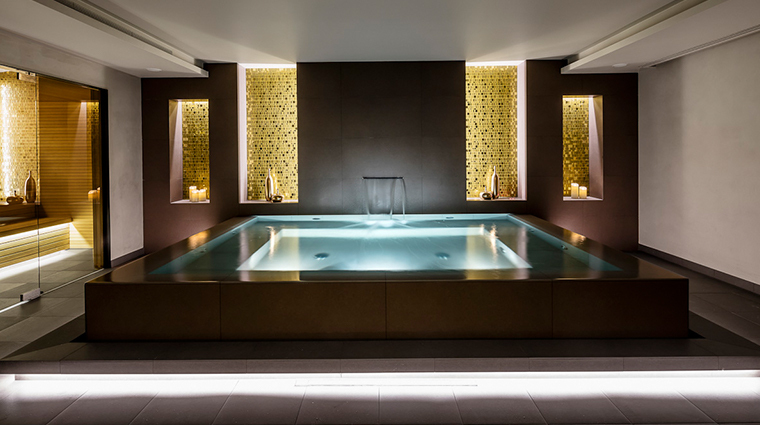 Kick back and unwind in this Prague hotel’s soothing plunge pool-style Jacuzzi. 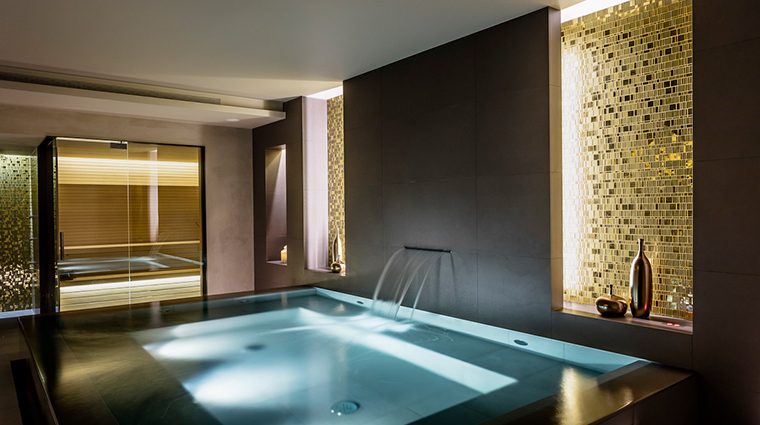 The small but super-chic wellness area also includes a sauna, a steam room and a well-equipped gym. The buffet breakfast in the swanky atrium restaurant, overlooking BoHo’s courtyard, is a lovely way to start your day. The eatery also hosts free evening wine tastings. 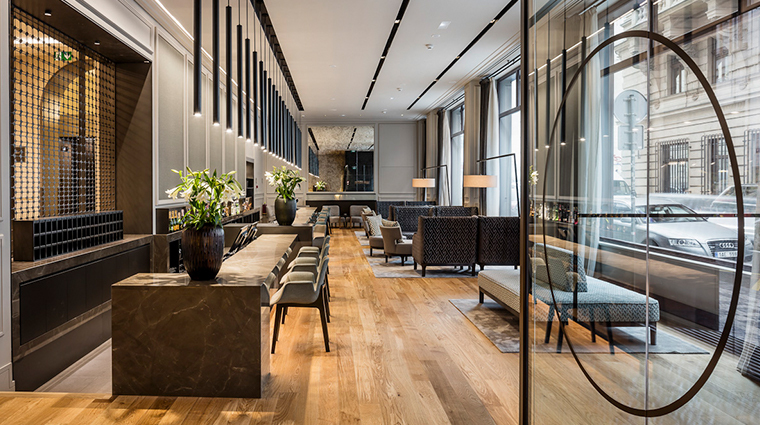 Finish off your day in Prague with a signature cocktail in the luxury hotel’s stylish bar. 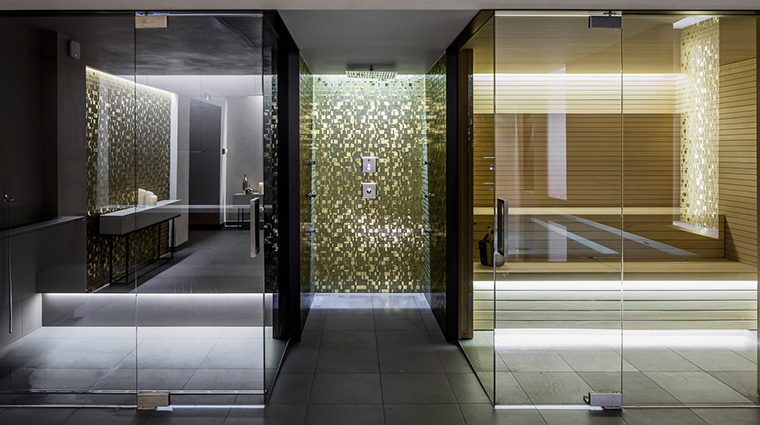 Some of the bathrooms within the accommodations feature see-through glass, which may not suit those who like their privacy. 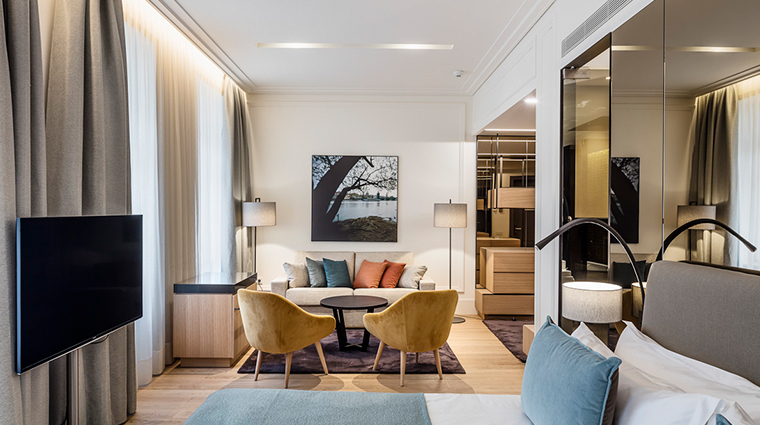 This Prague hotel has just one family room, so those with little ones in tow should book early. 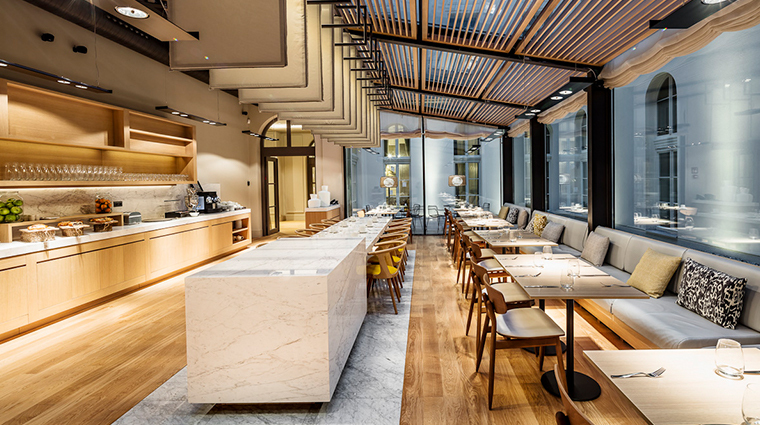 Similarly, there’s just one wheelchair-accessible ground-floor room, but all of the luxury hotel’s public areas can accommodate wheelchairs, which is more than can be said for much of Prague. 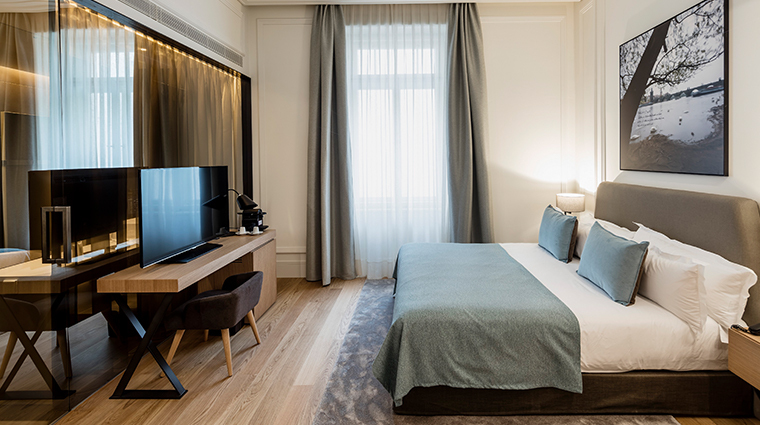 Each of the 57 rooms and suites in this modern hotel showcases a pared-back palette of cream walls and bed sheets, gray curtains and cushions and light wood floors and desks. 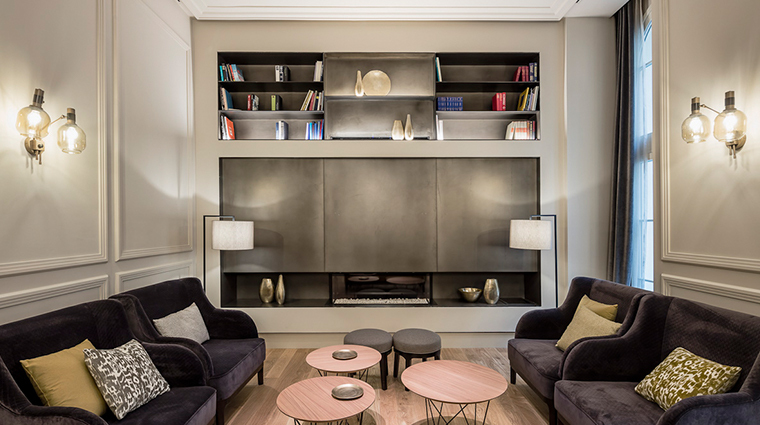 Amenities include kettles, Nespresso machines, large televisions, minibars and free Wi-Fi. 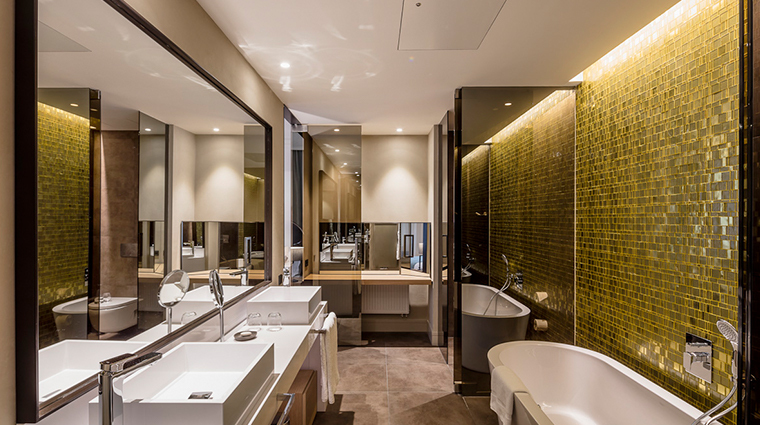 Bathrooms are beautifully clean and crisp, with big mirrors and very reflective surfaces. 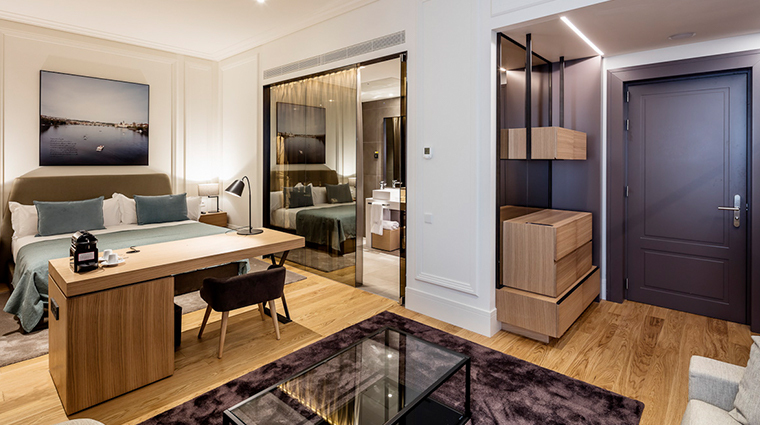 Suites offer little more than rooms in terms of amenities, but do feature extra floor space. 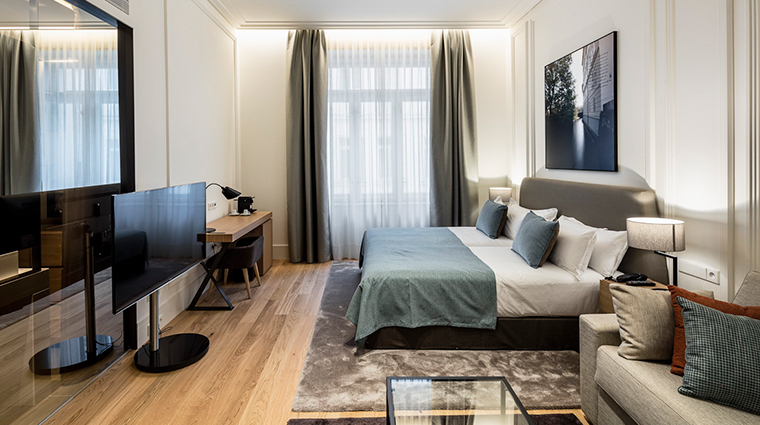 BoHo Hotel Prague is right in the thick of the action, with all of the Czech capital’s main Old Town and New Town attractions within walking distance (and some within view). The Powder Tower and Obecni Dum are just around the corner, while The Old Town Square,including the Astronomic Clock, is a pleasant 10-minute stroll away. The Jewish Quarter, Wenceslas Square and Charles Bridge are all within a 15-minute jaunt, too. 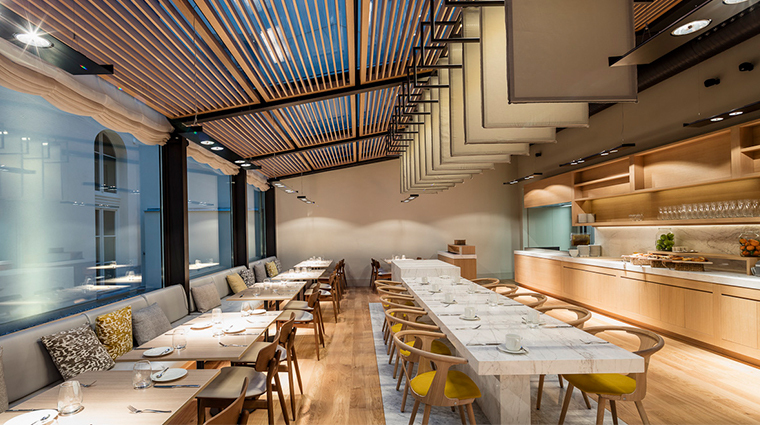 The property is surrounded by an array of cafés, restaurants, bars and shops, particularly on Na Prikope street, which can be reached through a quirky passage full of designer shops. 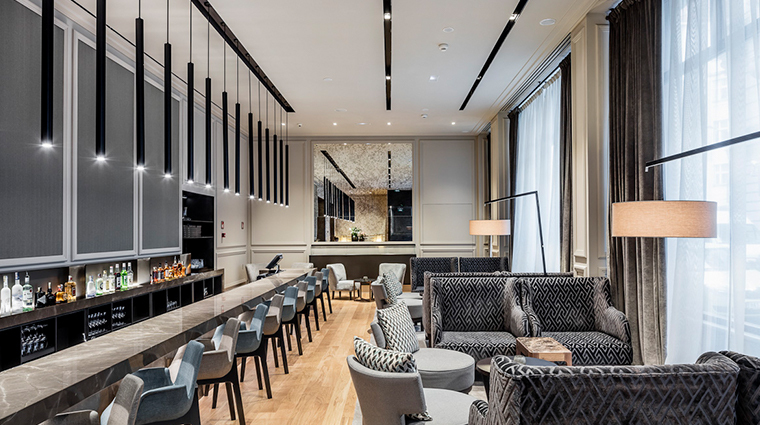 This luxury hotel is also ideally located for day-trippers, with Prague’s main train station just a five-minute walk away and the main bus terminal about the same by metro.